Choosing a new floor is very exciting. You probably already have some ideas about the style you would like, but the following tips will help ensure you get the floor you want and need. Entrance and Hallway – People coming and going will bring dirt and dampness into your home, putting special demands on this part of the floor. Choose a hard surface that can stand up to moderate dampness and is easy to clean. Office – If keeping your office quiet for concentration and comfort is a top priority, you should consider floors with good acoustic properties. If you expect a lot of visitors, you’ll probably want a tough surface that won’t be easily damaged by office furnishings or heavy use. Floors with anti-static properties can be a wise investment if you use a lot of electrical equipment. Kitchens –Spills and dropped food and equipment are a fact of life no matter how careful you are as a cook. Choose a floor that not only has good stain and traffic resistance, but that will also stand up to light moisture and repeated cleaning. Bathrooms –Water makes the bathroom a challenging environment and you must be careful to select a floor that is water-resistant. In addition, for safety you’ll need to be sure that the floor won’t be slippery when it’s damp and that it will be easy to clean. Bedroom –Your bedroom is often a very personal space so you’ll be looking at a wide range of decorative finishes. Don’t forget that looks are just part of the equation and that you’ll also want to be sure that it’s comfortable and warm for bare feet. Kid’s Bedroom/Playroom –These bedrooms often have to accommodate a wide variety of play as well as sleep. To cope with active youngsters you’ll need a tough, practical floor that’s comfortable but also easy to look after and clean, and that will also help to keep noise levels down. Living Room – You need a multi-purpose floor that reflects your style but can stand up to the challenge of a variety of activities. A tough surface that’s easy to clean and look after will reduce the time you need to spend keeping your living room looking good. No one wants to spend every minute worrying about stains and cleaning. By choosing a floor that suits the area, you’ll cut down on the cleaning and general care you have to provide. You should also select a floor with the best possible surface protection. Hardwood Flooring Installation: Which is Best? Hardwood floor installation is a project that can be done by seasoned professional contractors or by skilled “Do It Yourselfers” ambitious enough to attempt the job themselves. If you’re considering installing your own floor, be sure you understand the different types of hardwood floor installation. The subfloor you will be installing the new floor on may dictate which hardwood floor installation method you can use. Hardwood floor installation using the nail-down method is typically used for solid wood flooring of ¾” thick strip or plank flooring to a wooden sub-floor. The flooring cleats are driven down through the tongue of the flooring and fasten securely in the sub-floor beneath. 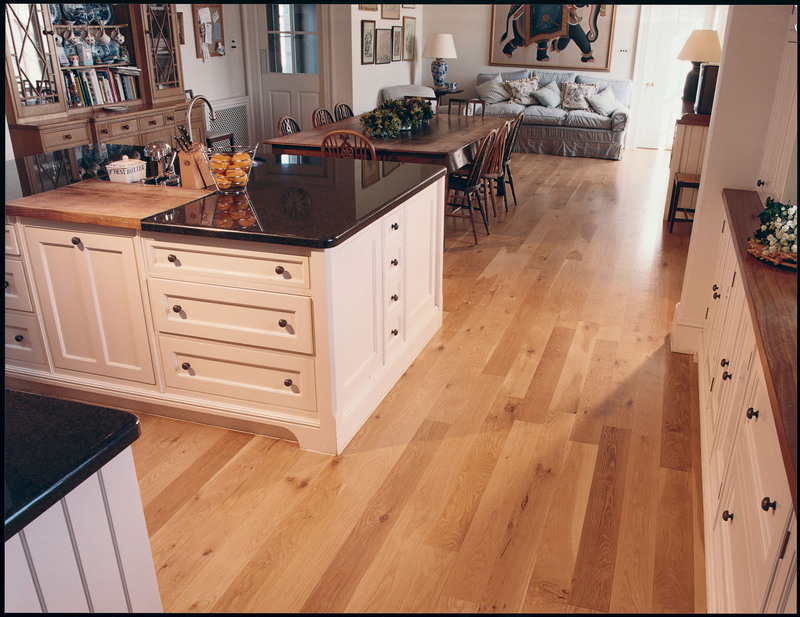 A floating floor is engineered hardwood that is installed by attaching each board to the next without any adherence to the sub-floor. The boards are attached using a bead of glue on the tongue or by a click-together system. Floating floors are easier to install for a DIY project and can generally be installed over existing flooring such as tile or vinyl. When nailing or gluing flooring down, each board expands and contracts independently. On a floating system, the entire floor moves as one unit which will help reduce any cracks between boards in areas of fluctuating temperature/humidity levels. Floating floors can also be sanded dependent on how thick the wear layer is. Glue is primarily used to attach hardwood flooring to fully cured and dry concrete substrates or wood when nailing is just not an option. Glue is also used as a sound reduction barrier and can help soften the transfer of noise when hardwood is installed in applications such as apartment buildings and high-rises. Hardwood that is installed using the nail down method can tend to have higher noise transfer between floors. 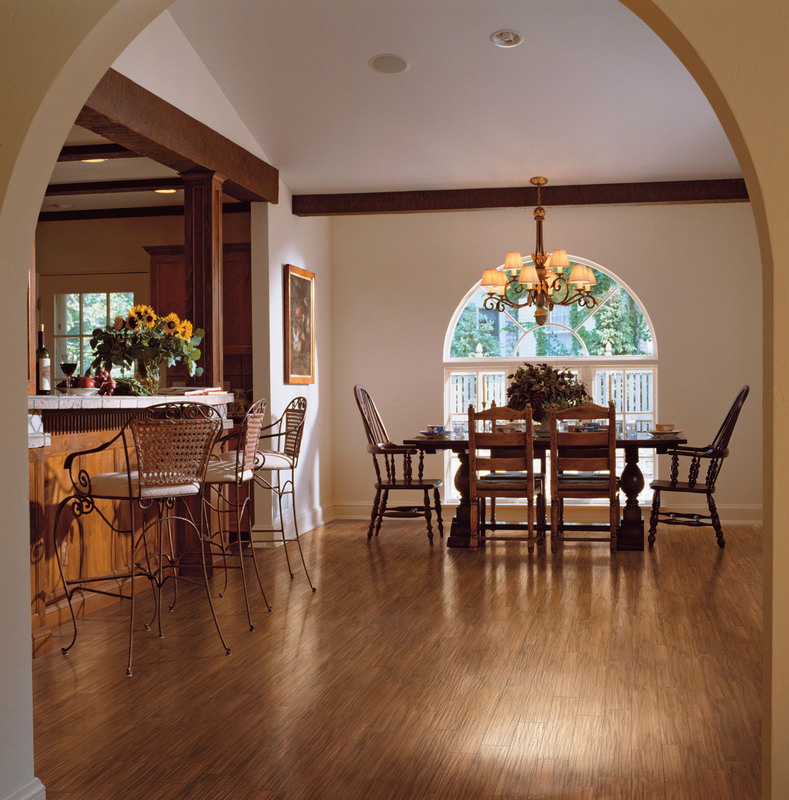 Please refer to the flooring manufacturer for recommendations on installation. In some cases when installing plank flooring 4” and wider, nailing and gluing the boards are recommended. Refer to the flooring manufacturer or the National Oak Flooring Manufacturers Association (NOFMA.org) for recommendations on installation. If you’re looking for someone to install your hardwood floor, contact a Bona Certified Craftsman to explore your options. 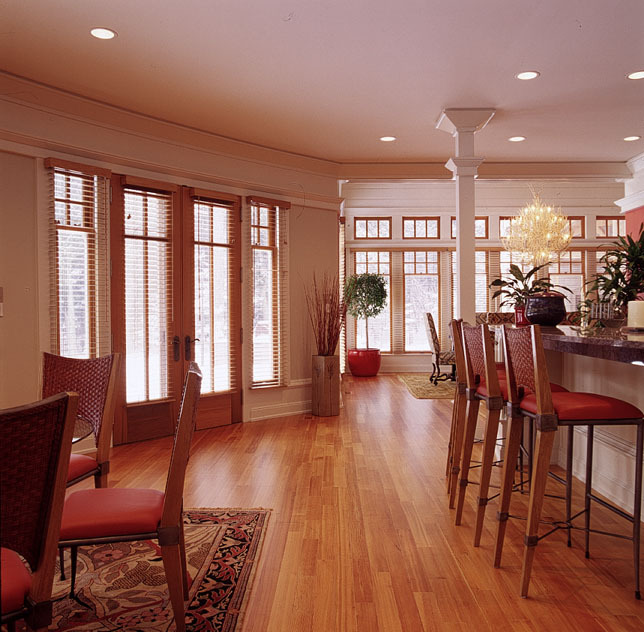 A Bona Certified Craftsman (like MODA Floors and Interiors) is a professional contractor specially trained in the Bona Floor Care System and can provide you with a wealth of experience and expertise concerning hardwood floors. Whether you’re planning a major remodel or just want a few ideas to freshen a space, attending a home tour this fall will help get your creative juices flowing. Here are four places to start. This tour will offer an intimate look into older homes in sought-after Brookhaven, a community located just inside the perimeter. This new home is a 6,700-square-foot structure with seven bedrooms and nine baths. It was inspired by Old World architecture and materials, including General Shale brick and James Hardie shake siding and cornices. You will find an eclectic mix of homes and outdoor spaces, including treehouses and gardens. Eight private homes transformed throughout Atlanta’s northern suburbs by members of the National Association of the Remodeling Industry Atlanta Chapter will be open to the public. Proceeds from ticket sales will benefit CURE Childhood Cancer. What other tours would you add to this list? What’s the best idea you have picked up on a home tour? Many people have plants in plant pots sitting directly on their wood floor. Often, plant pots leak without your noticing when you water the flowers. When you move the pots to vacuum you see dark round spots on your wood floor. Here are some tips on how to remove those stains. Move the plant pot and wipe up any liquid. Let dry, and keep well ventilated for 24 hours. If you can still see the stain, it means the fluid has soaked into the wood. 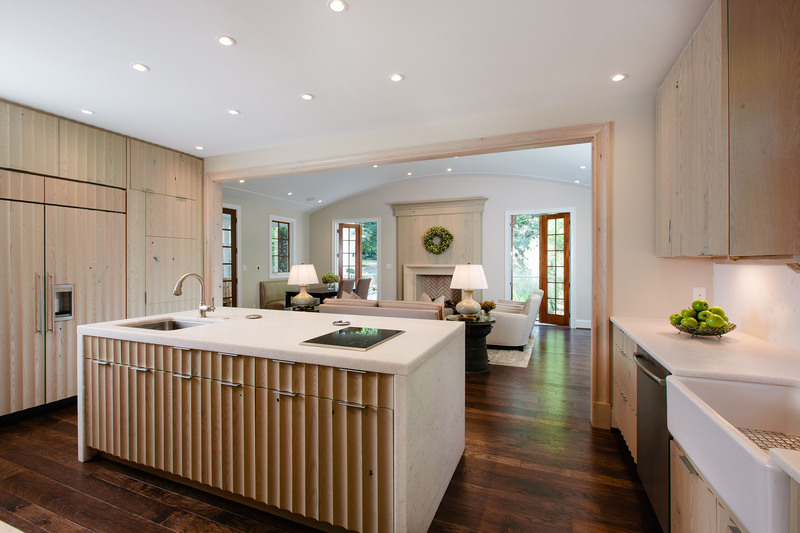 Bona recommends contacting a Bona Certified Craftsman (like MODA Floors & Interiors) for more advice and practical help. Spray the surface with Cleaner for Oiled Floors, use a Microfiber Cleaning Pad and let dry thoroughly. If you see a dark color or ring in the wood, it indicates that water has soaked into the wood. To fix the stain, sand the surface with very fine sandpaper. Then add oil to where the stain was. Be sure to choose the same oil you used previously. If you’re not sure and need assistance, contact a Bona Certified Craftsman for further advice and practical help. Always put plant pots on saucers with felt pads or other protection to collect water and moisture. Move your plant pots occasionally so that they don’t stand in the same place for too long. This will avoid color changes from sunlight.